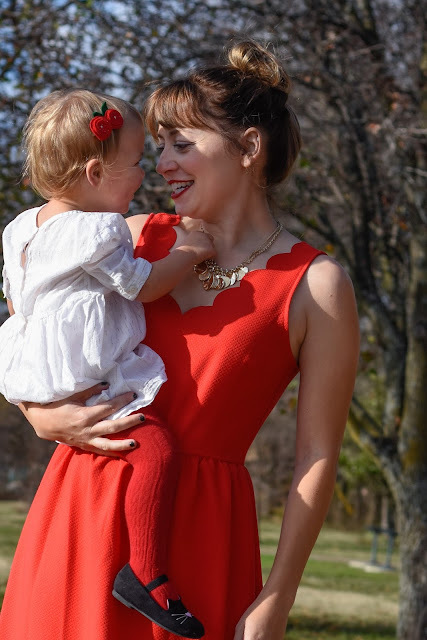 It's certainly no secret by now that I like to coordinate with Adelaide, as seen in my previous Mommy Daughter Style posts here and here. Well, Christmastime is certainly not going to be any different! Since I didn't really have much in the way of "festive" in my closet, I did a little shopping for a few options and these are what I came up with. Now I'm just going to need to decide on which outfit to actually wear for Christmas and which ones I must part ways with :( I'm leaning toward the first one since we don't really do fancy round these parts (I'm finxin' to pull my Texan out ain't I?). I guess I'll just have to live vicariously through the movies depicting the fancy company parties, and have fun playing dress up at home. And while the photos would lead you to believe otherwise (getting a toddler to cooperate with photos is rough even on the best of days! 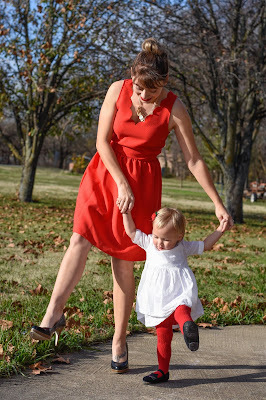 ), Adelaide actually enjoyed playing dress up with me too. Put her in a dress and she's happy. Make it shiny or poufy and that's all the better. 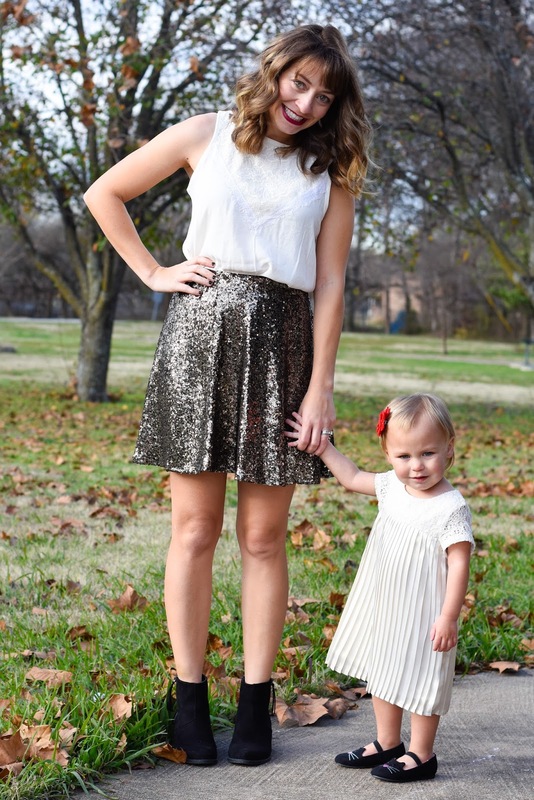 Put Mommy in sequins or something twirly and you've got a winning situation on our hands. Til you ask her to smile at the camera that is. Hope you enjoyed the boatload of photos and outfit ideas! I know coordinating is popular for family photos around this time of the year, but do you like to carry it on through any celebrations and gatherings? Love these outfits! The second is my favorite! 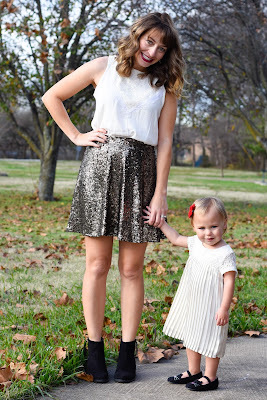 Love how you styled the sequin skirt. Thank you so much! I saw that the skirt went on sale... I am so tempted! I think it'd be so perfect for NYE too! all amazing looks!! All three are great and so different! Love! Thanks so much for looking at them! I have so much fun picking out coordinating outfits for us! I wonder how long Adelaide will let me keep it up? Haha! 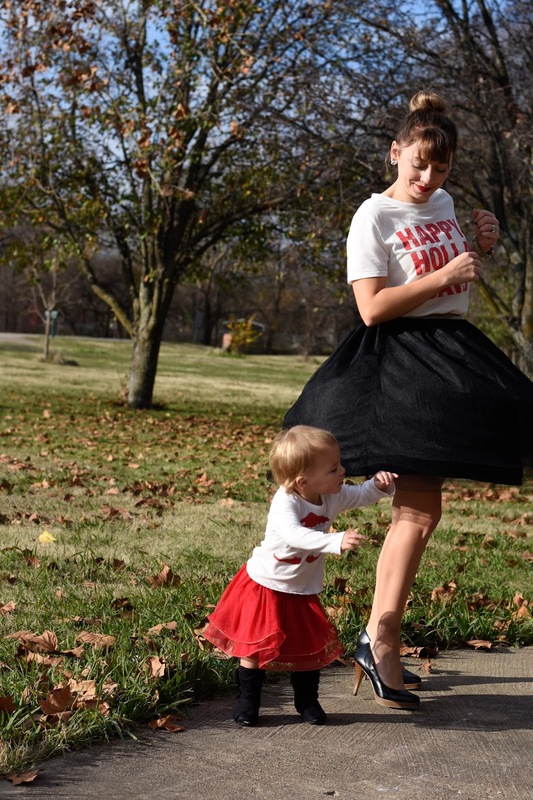 Omg it's beyond cute how your daughter matches outfits with you!! I love all the looks and when I have a kid one day will definitely do the same thing haha. 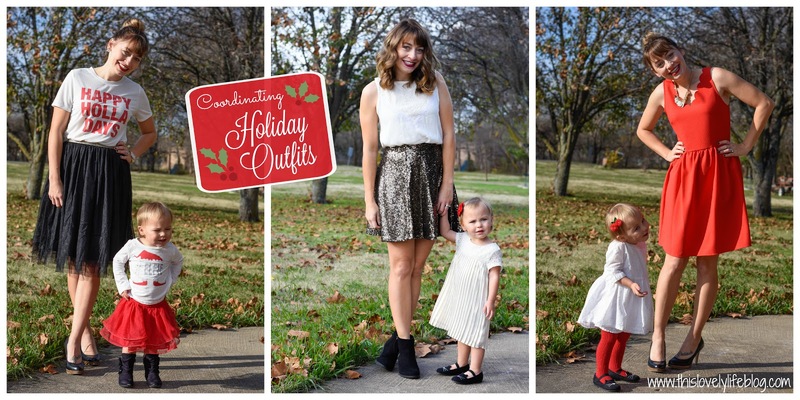 Cute pictures and great outfits! Thank you so much for reading! I'm loving your blog! this post is the cutest! 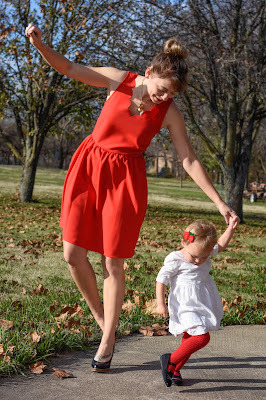 I love the mommy daughter style! You guys are so adorable! I love each look you styled, both on you and your little girl! Thank you so much! I'm so glad you came by to check it out! Oh my goodness! 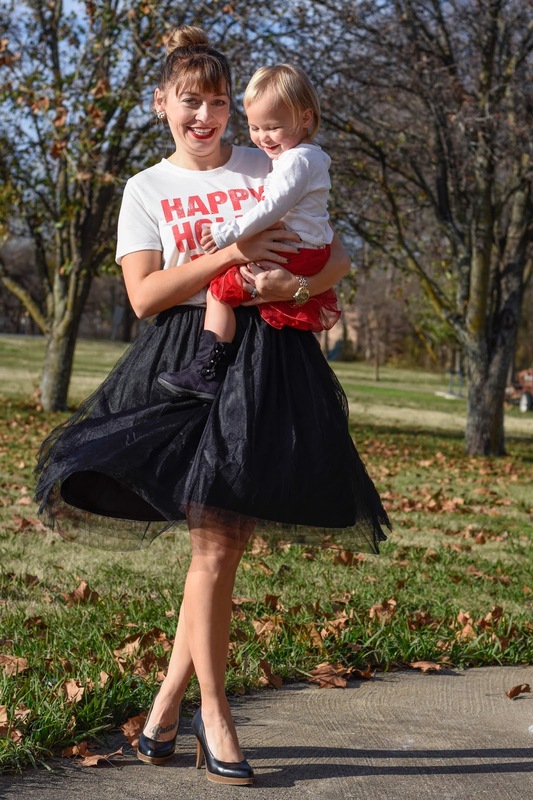 You both look so adorable and festive! 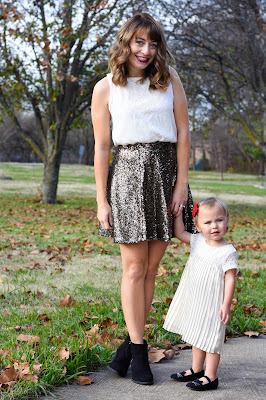 I love that sequin skirt! Thank you! The sequin skirt was Adelaide's favorite too! When I first picked it up she said it was for a girl.... I think she was saying it should be for her rather than me :) If they made it in her size, you can bet I'd grab it too!